I don’t remember the last time I was so impressed by a building. 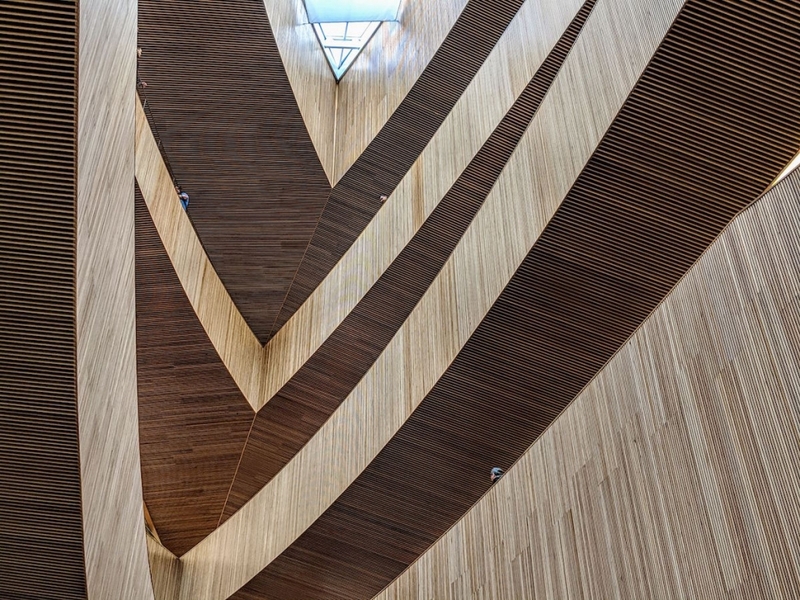 The Calgary Central Library website says: “This family destination and gathering place was designed to be a landmark, built to inspire Calgarians for the next 100 years”. That seems spot-on. The building is full of inspiring spaces designed for every civic purpose and community use you could think of. I came away feeling like I’d just been in a great cathedral to learning. Our friends at Executive Millwork in Calgary performed the millwork contract. They did a spectacular job. The tiniest wood details were given careful attention. They truly did our industry proud. I urge all lovers of architecture and millwork and libraries to make Calgary a destination and visit this spectacular building.